Jalal Jogi Sindhi Folk Music Singer. He is most popular Sindhi Classical Music, Sindhi Folk Music Singer. 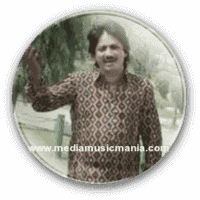 He is great Artist of Sindh, he sung songs in Sindhi language, his lot of songs are very popular. Jalal Jogi create great name in Sindhi Music and he sung lot of great Sindhi popular Songs in village culture and feudal society of Sindh, with its rural base, its Autaqs. He sung poetry of Sindhi most famous poets and he is most popular singer of latest Sindhi culture. Jalal Jogi grew up surrounded by the sounds and took up the study and practice of Sindhi Cultural Music, Sindhi Kalam. He is very popular in Sindhi young culture, he sung in local TV Channels and also local Mehfils, Marriage ceremonies and Mela in all over Sindh. It is an unforgettable experience in Sindhi Pop Music. Jalal Jogi has sung great songs and love with Sindhi poets. Jogi Jalal has invaluable experience, in Sindhi Songs and Sindhi young music culture. His most popular song is "Raani Matke Wale" is very popular on local TV Channels. Jalal Jogi is good name in Sindh’s cultural history drew towards a close and he is the greatest surviving Sindhi Lok Music Artist. I have selected below most popular Music of Jalal Jogi.